During CASA’s recent Sector Meeting, the Coalition recognized the Honorable Jack M. Martins as a champion for the Manhasset community and New York State. 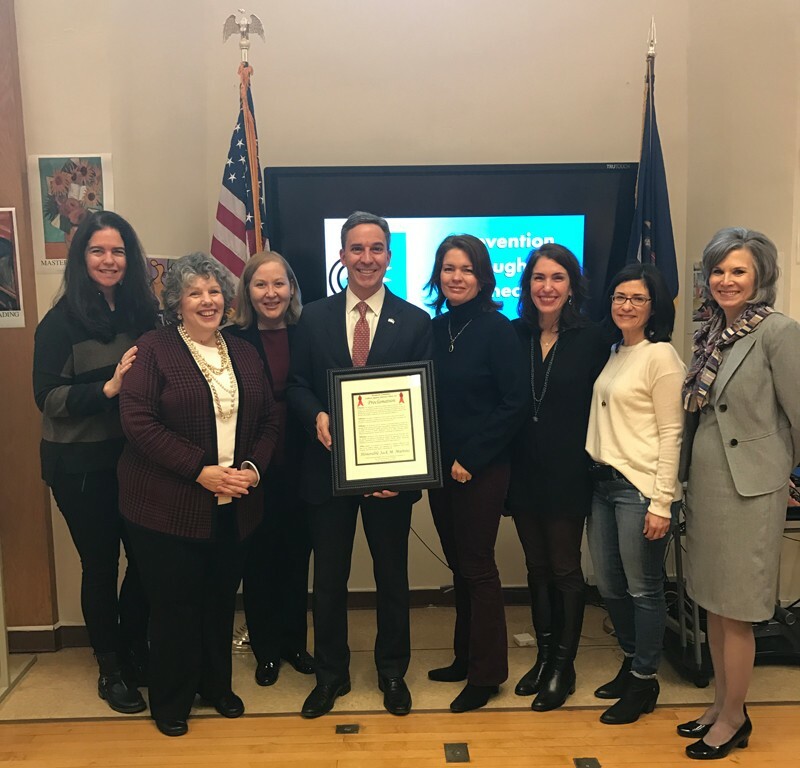 CASA presented a proclamation noting his efforts to improve the lives of families and prevent substance misuse during his tenure in the New York State Senate. CASA noted Senator Martins’ work to pass legislation to combat the growing heroin, opioid and prescription drug epidemic, implement the Shed the Meds program in Manhasset, and provide funding for Manhasset CASA’s Power of Parenting Series at the Manhasset Public Library. 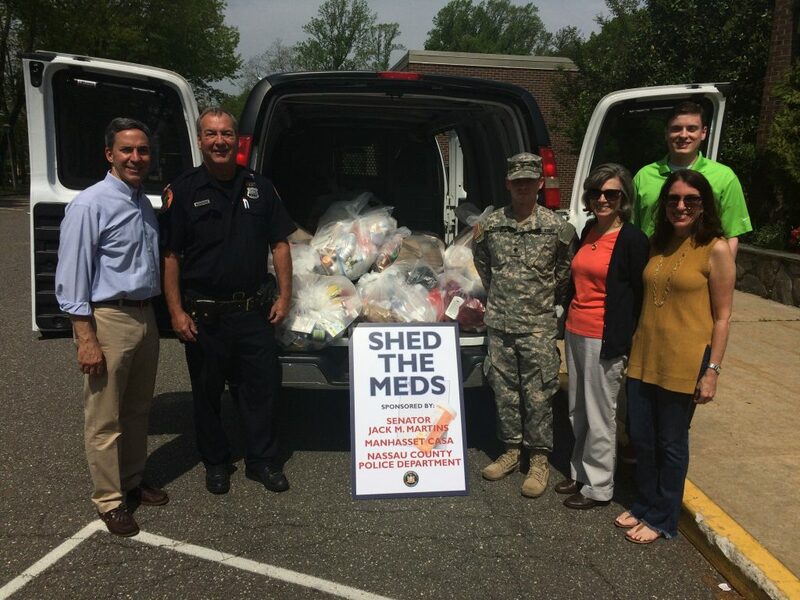 With his assistance, Manhasset CASA has delivered inclusive family education programming for the community and collaborated to dispose of unnecessary medications in the prevention of prescription drug misuse. For more information or to become a member of Manhasset CASA, go to manhassetcasa.org. You can also like them on Facebook! Manhasset CASA’s Board of Directors presents the Honorable Jack M. Martins with a proclamation recognizing his efforts as a champion for families and the prevention of substance abuse. Standing left to right: Kim McConville Kuester, Esq., Board Member; Maggie Gough, Director, Manhasset Public Library (co-sponsor of Power of Parenting Series); Lori S. Rowan, Board Member; Honorable Jack M. Martins; Jennifer DeSena, Executive Director, Manhasset CASA; Caryn Sawyer, Board Member; Zari Ginsburg, MS, RDN, CASA Board Secretary; and Cathy Samuels, Project Director, Manhasset CASA. Absent from photo: Eugene A. Petracca, Jr., P.E., President; Lisa Varela, Treasurer; Robert J. Aiello, Esq., Board Member; Andrew Lunetta, Esq., Vice President. Beth Miller, Board Member; and Michelle Selby, Board Member. The Honorable Jack M. Martins, Nassau County Police, New York National Guard Counterdrug Task Force and Manhasset CASA collaborate to prevent opioid and heroin misuse in Manhasset as well as north shore communities.